An eye doctor is an eye doctor right? Well, not really. Many patients confuse these two kinds of doctors and what they are able to do, diagnose, and treat. 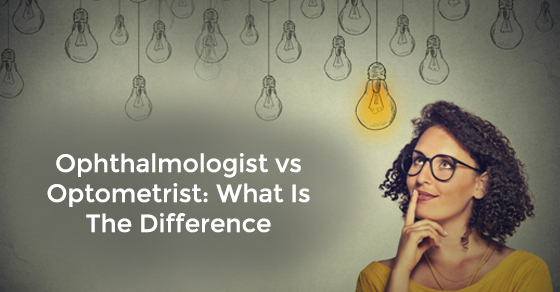 For certain situations you may want to see an Optometrist, but in other instances, an Ophthalmologist is best. Knowing which type of eye doctor is the correct one for you may depend on your age, the symptoms, your family history, and the level of treatment you need. In general, an Ophthalmologist can diagnose, treat, and manage all eye diseases, prescribe medications, perform comprehensive eye examinations, and write prescriptions for glasses and contact lenses. In addition to the level of training necessary to become an Ophthalmologist, a major difference is their ability to perform surgery. An Optometrist cannot. You can read Dr. Skouras’ bio here. Some Ophthalmologists become Sub Specialists requiring a 1-2 year Fellowship at a Medical school. Examples would be: refractive surgery, pediatrics, glaucoma, and retina. Some Ophthalmologists conduct scientific research. Lastly, it is recommended that by the age of 40 that patients see an Ophthalmologist once a year to diagnose any sight threatening eye diseases, especially those that run in the family. Optometrists are valuable partners for Ophthalmologists. You will see OD after their name referring to a Doctor of Optometry. They must complete a 4-year degree in Science followed by a 4-year degree from an accredited University School of Optometry. They are considered primary care eye doctors and examine eyes for both vision and health issues. An Optometrist can prescribe medications, treat certain eye diseases, prescribe glasses and fit contact lenses. Some Optometrists become specialists in areas like low vision and vision therapy. Dr. Byun here at Skouras Eye & Cosmetic Centre specializes in dry eye management, eye exams for children, diabetic visual assessment, computer vision issues, among others. Both Ophthalmologists and Optometrists must fulfill continuing education (CE) classes to maintain licenses. Whatever kind of care you and your family require, you can find it at Skouras Eye & Cosmetic Centre. Dr. Skouras works closely with our on staff Optometrist to meet all your visual needs.